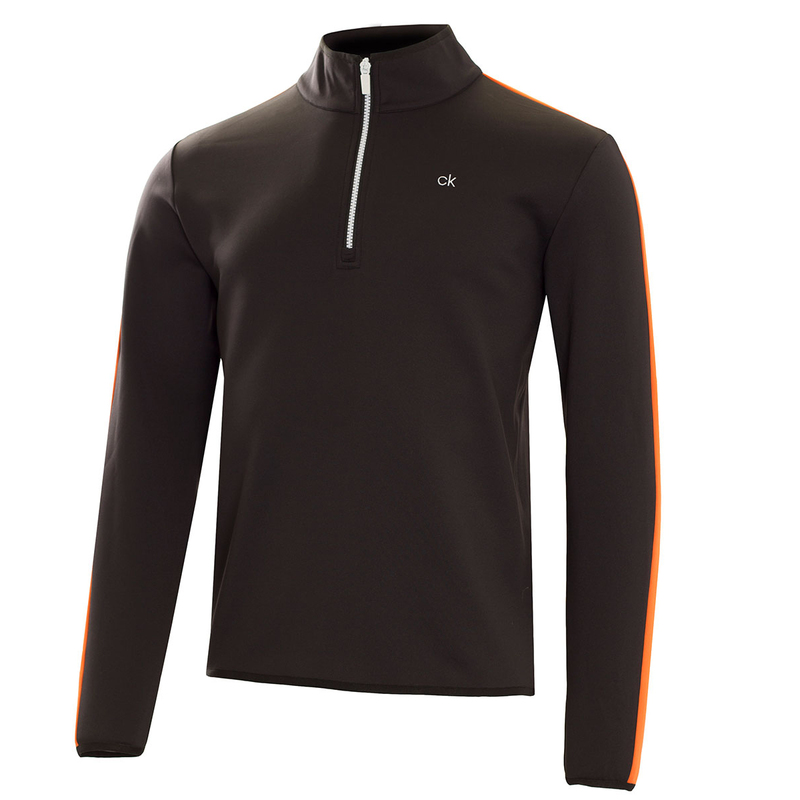 This high quality half-zip jacket from Calvin Klein golf, provides an insulating layer, while still remaining breathable and maintaining essential moisture wicking properties. 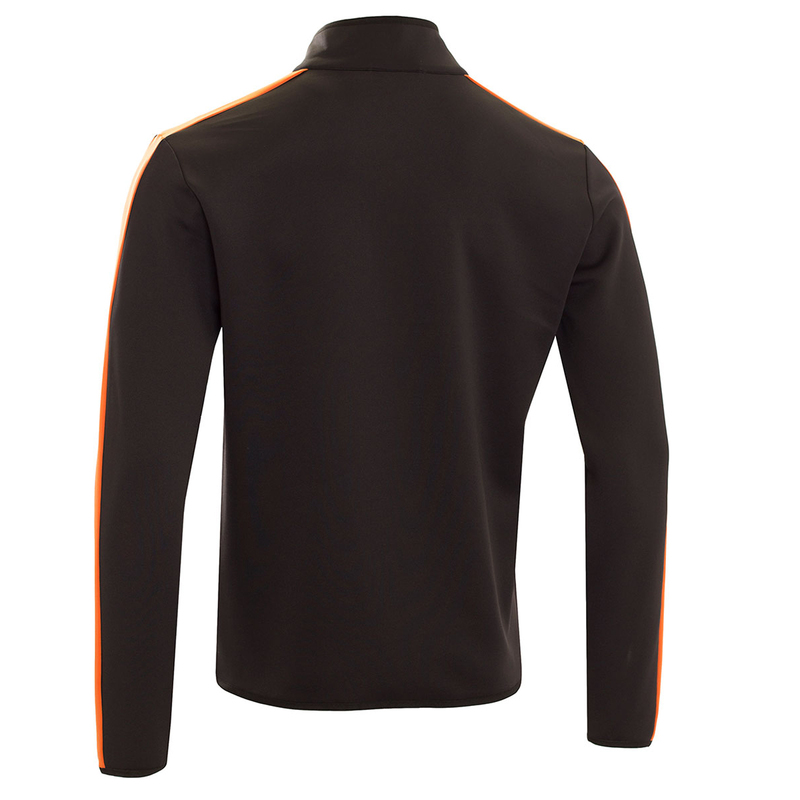 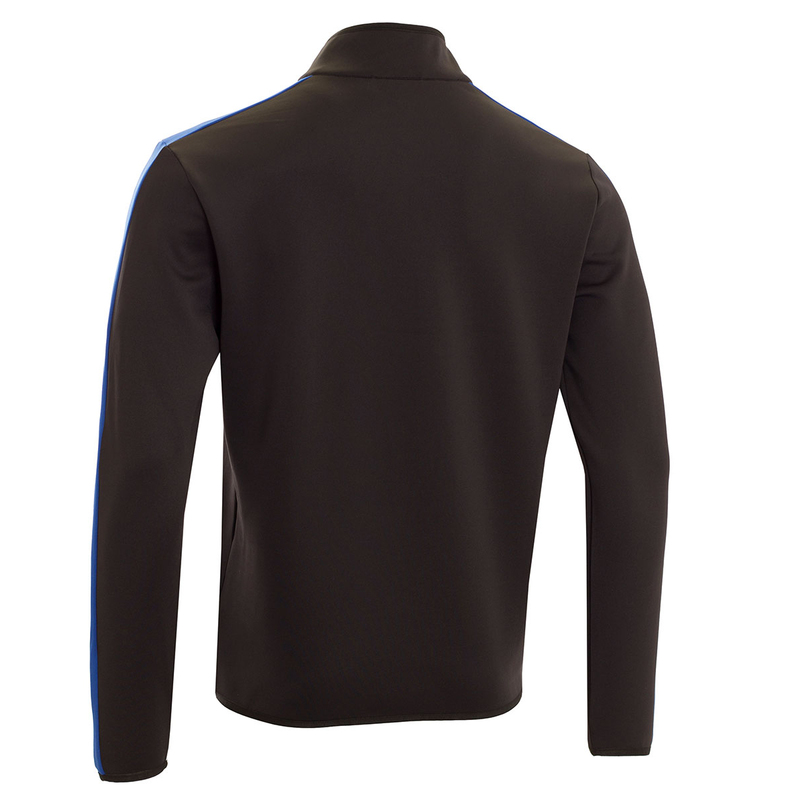 This garment has a clean mercerised finish and a soft brushed back for a soft comfortable feel. 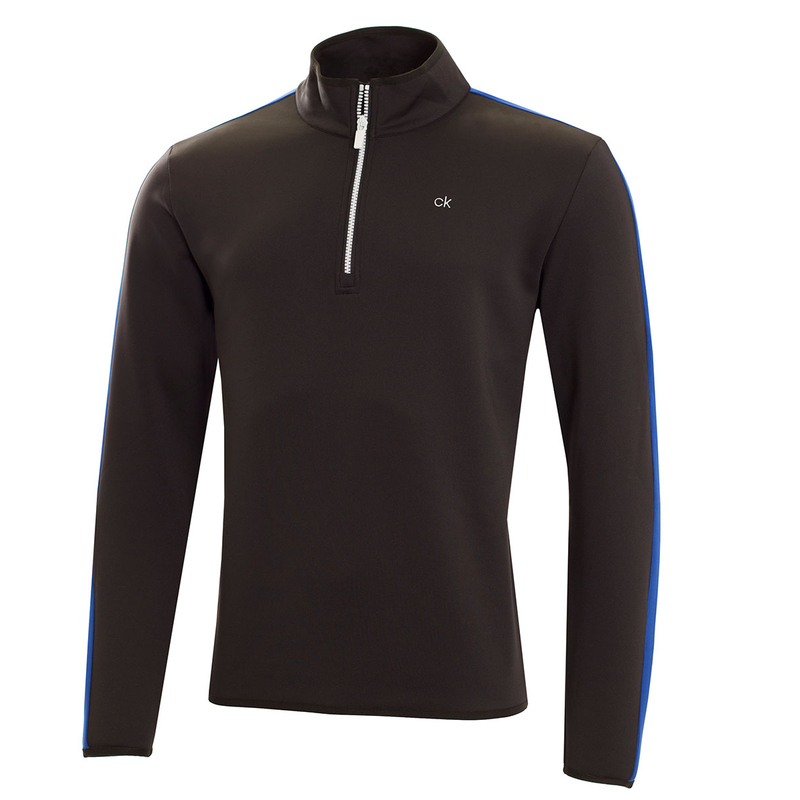 For increased performance the layer has a stretch enhancing element, which provides better mobility and comfort through the golf swing. 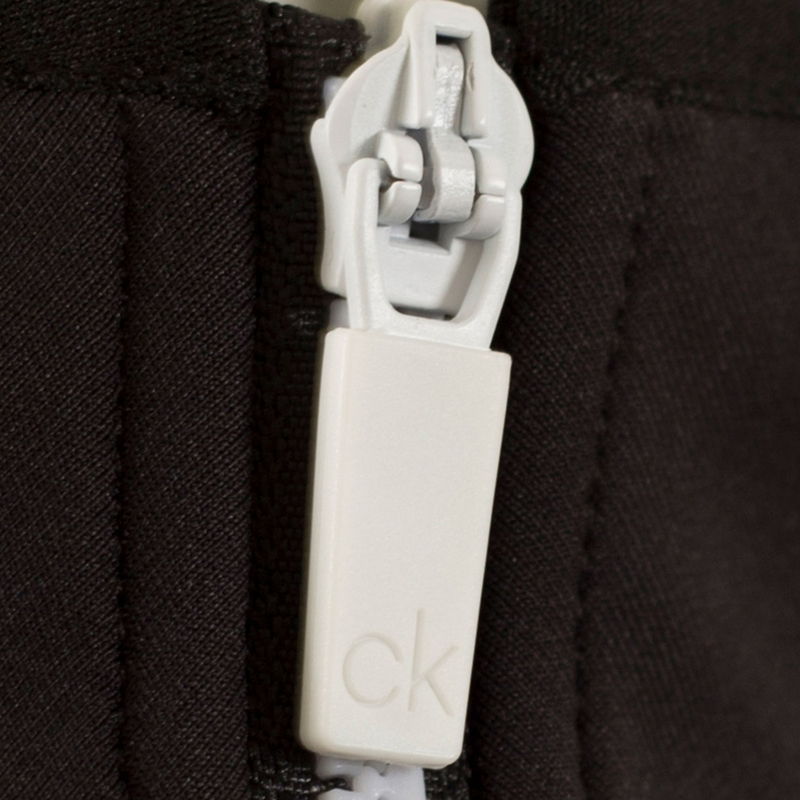 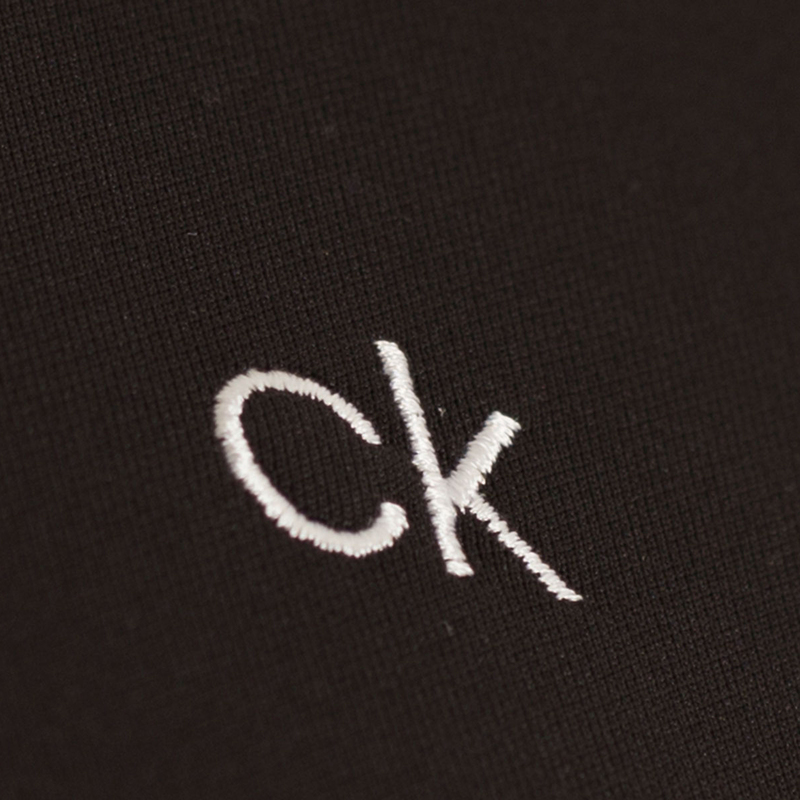 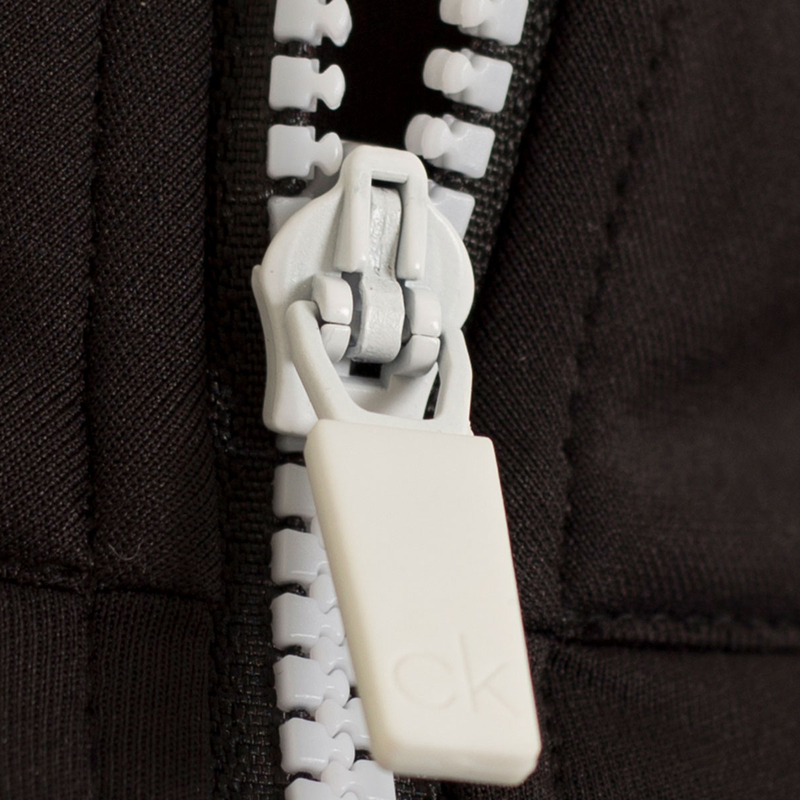 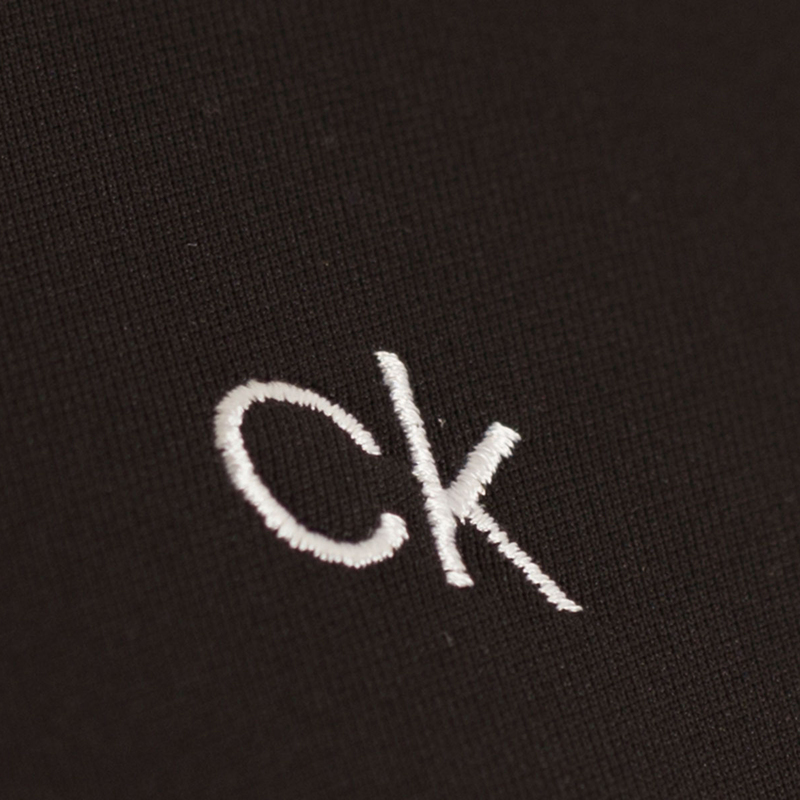 The jacket is highlighted with an embroidered contrast colour ‘ck’ logo on the left chest, and contrast coloured panels down the shoulders and sleeves.